Polo shirt by E. MURACCHINI with short sleeves. 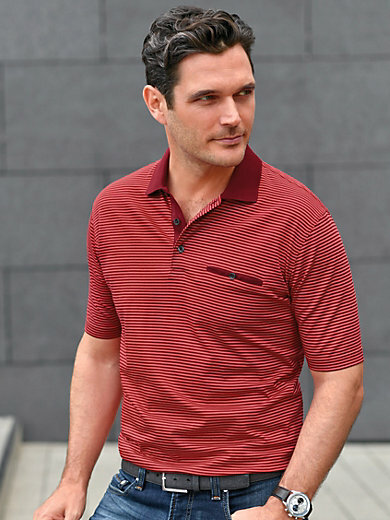 Chest welt pocket with button, and colour-contrasting polo collar. Finest striped jersey with a soft feel in 100% cotton for breathable comfort. The polo shirt is machine washable.